Burgundian fashion. 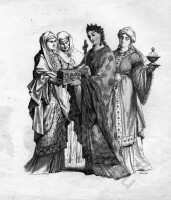 Italian medieval costume. 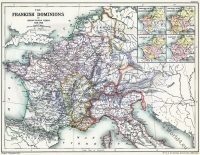 Home » Burgundian fashion. 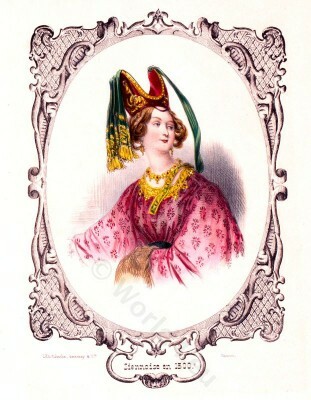 Italian medieval costume. Burgundian fashion. Woman from Siena, Italy 13th century. 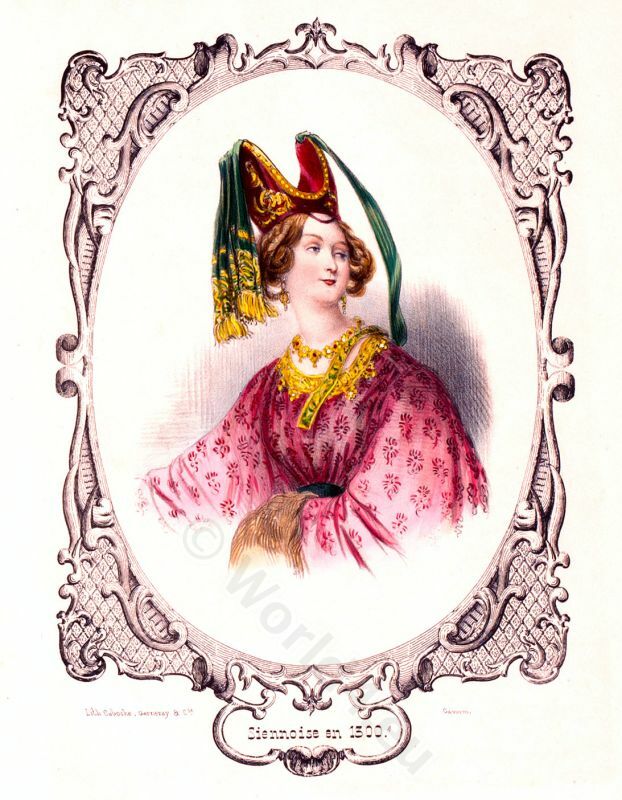 Italian noblewoman in Burgundian fashion, Gothic period, High middle ages. 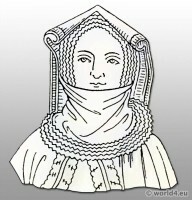 Horned Hennin, ribbons and veils. The top dress with round neckline is made of precious damask and at the edges richly decorated with gold-embroidered fabric ornaments. The long wide sleeves that reach to the hands are covered with fur cuffs. The belt is worn high on the waist. The hairline is drawn far above what distinguishes a high forehead. The round décolleté is adorned with a heavy gold chain. 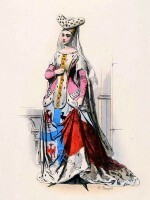 Blanche of Navarre. 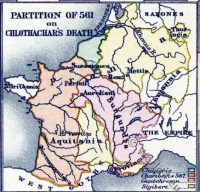 Queen of France in 1350. 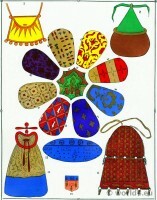 Middle Ages Fabrics design. 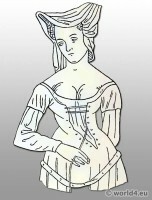 12th to 15th century fashion history. This entry was posted in 13th Century, Burgundian dress, Court dress, Hairstyle, Headdresses, Italy, Middle Ages, Nobility and tagged Burgundian fashion period, Gothic costumes, Hennin, Medieval costume, Paul Gavarni on 4/18/13 by world4.